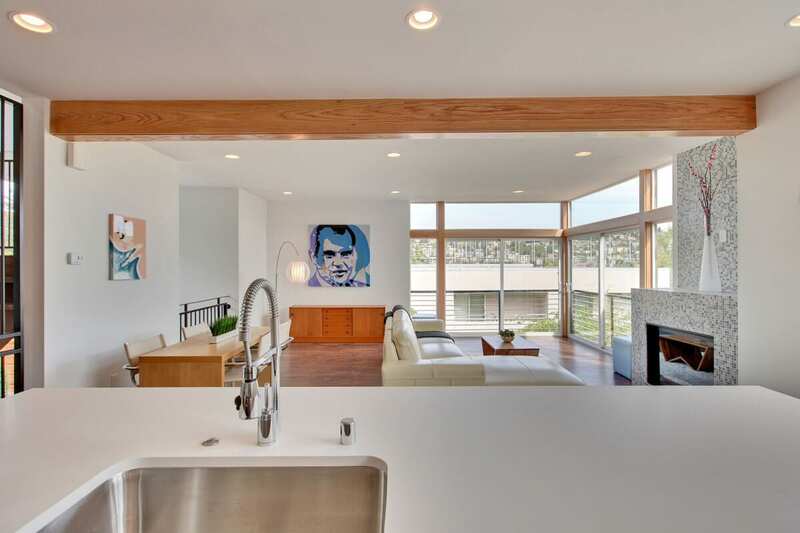 Thoughtfully designed open spaces provide a multitude of options to fit all the needs of efficient modern living. 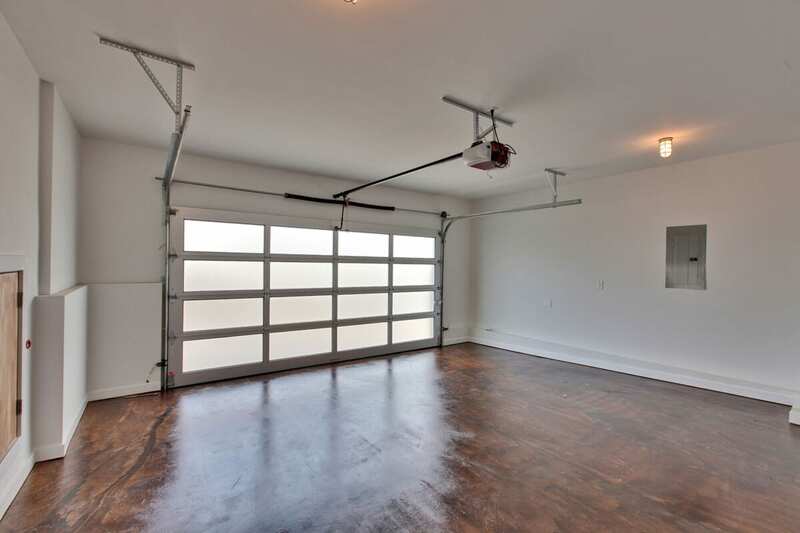 A large open kitchen is equipped with Energy Star appliances, flat paneled oak cabinets, chroma slab counter tops, and plenty of storage. 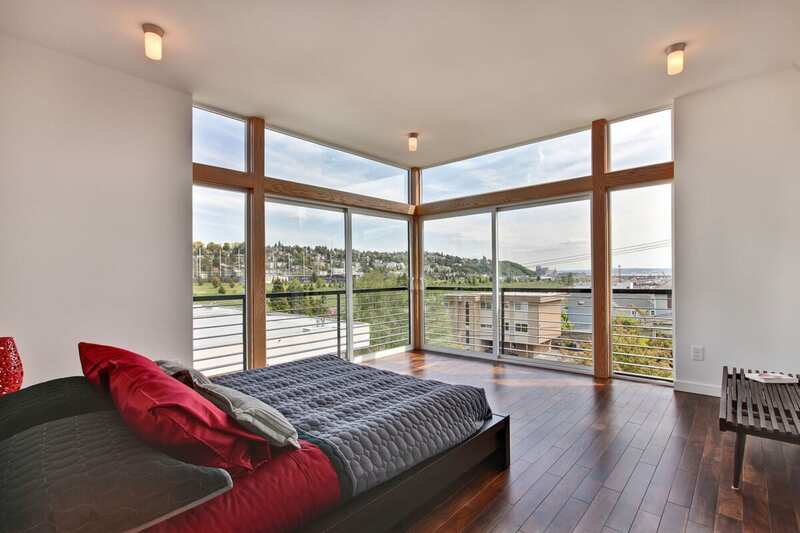 There are acacia wood floors throughout the home with energy efficient in-floor hydronic heating on all levels. 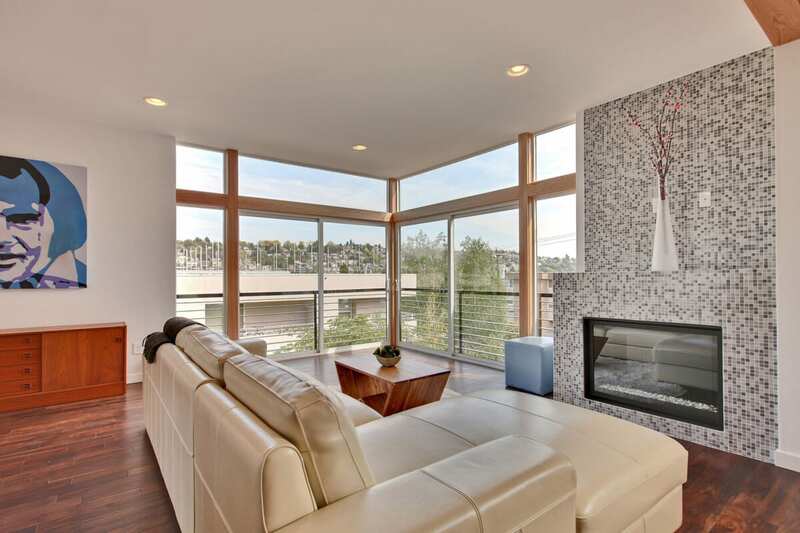 The large dual pane energy conserving awning windows create tones of natural light. Ann Sack tile (30% recycled material) can be found in the kitchen and bathrooms. 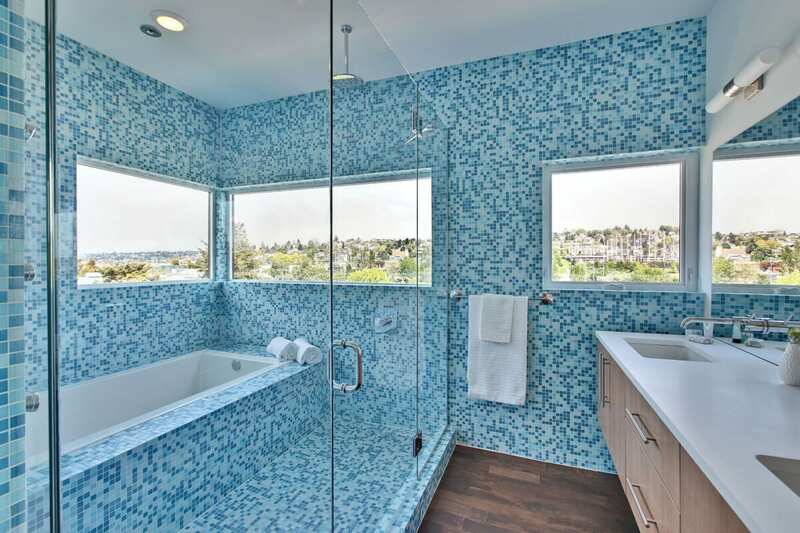 Bathrooms are equipped with water conserving dual flush toilets, a multi-head shower system, and wall hung vanity. 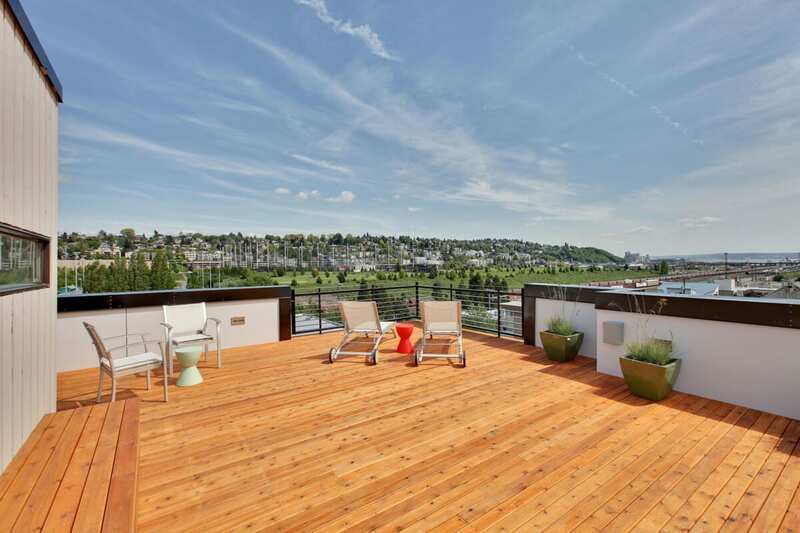 Entertain on your large roof top deck outfitted with the utilities needed for barbequing and a 4,500lbs hot tub. 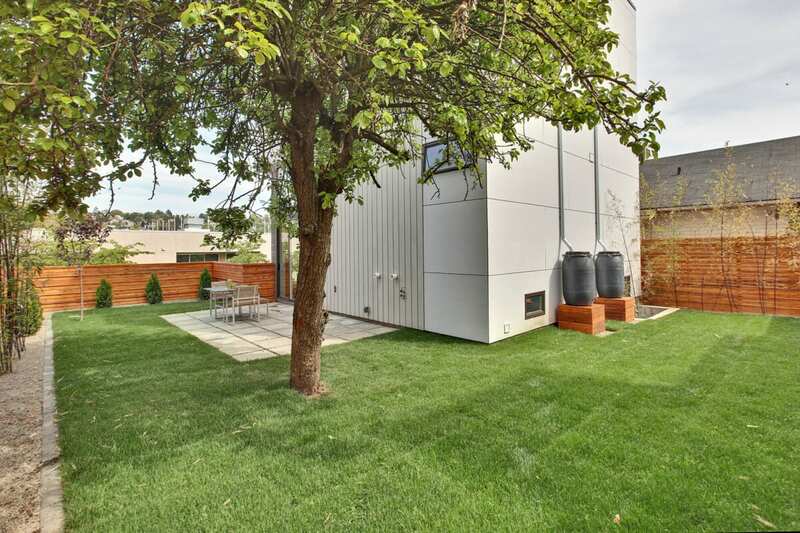 This modern home is sited on a large lot with a fully fenced private yard. 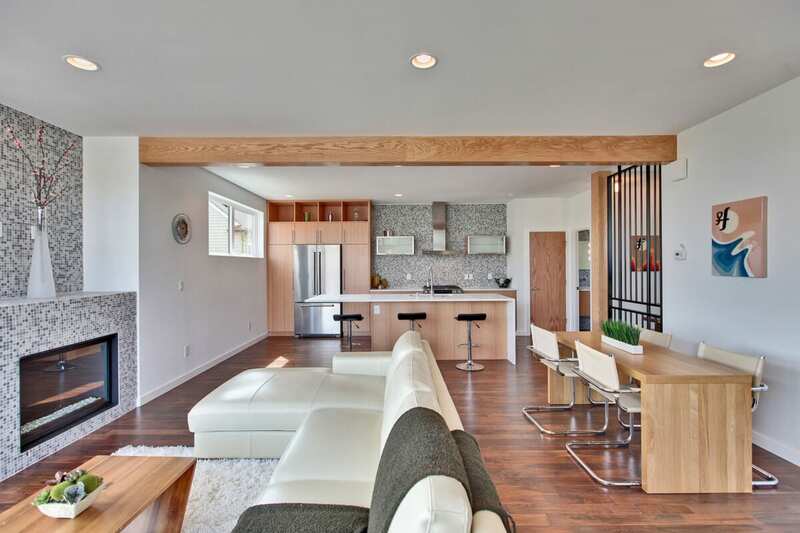 Barcelo Homes and Julien Weber Architect & Design come together to offer this signature energy efficient modern home, assembled with eco-friendly materials, and thoughtful y designed open spaces with clean lines and lots of natural light. 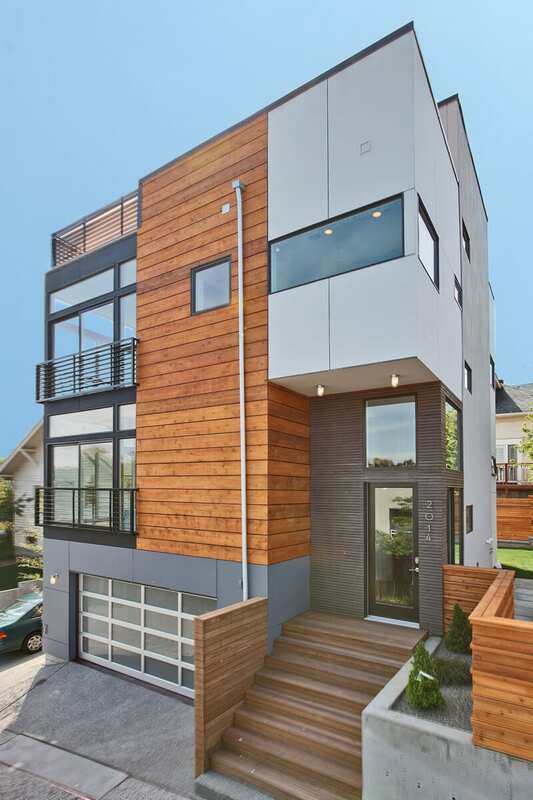 Sited on Magnolia’s east side over looking the Interbay Golf course and driving range, this contemporary home offers easy access to Downtown, Queen Ann, Ballard, Ballard and a short walk to Interbay Athletic Field, Starbucks, Redmill Burger.